Reggie Jones played cornerback in the NFL and the Founder/CEO of Heir Football Academy believes he could be coaching a future pro in Donovan Clark‍. “Donovan is an NFL cornerback,” Jones says confidently of the 2020 Washington prospect. “He has the size. He has the work ethic. He has the length and the athletic ability to go as far as he wants to go. Clark currently has offers from Oregon, Oregon State, Washington State and Utah State. 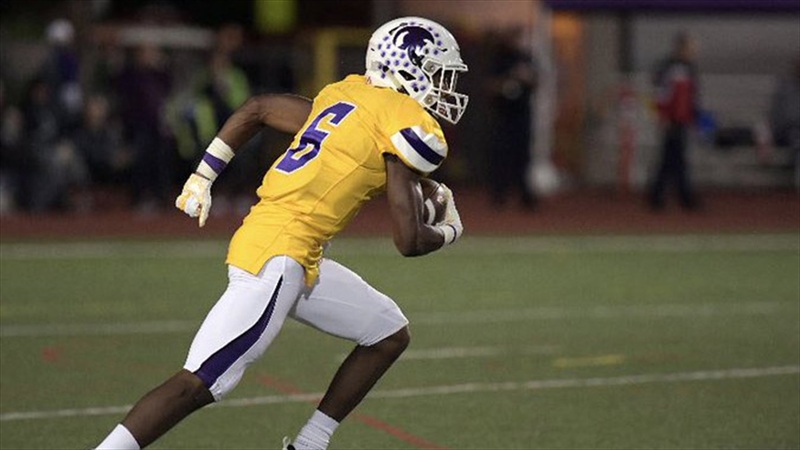 The Tacoma native will be joining Jones and fellow Heir Academy athletes Kasen Kinchen and Emeka Egbuka on a visit to Notre Dame on Thursday. “I know Kasen and Donovan have made a really good connection with Coach (Todd) Lyght and I know Lyght likes both of them,” says Jones. “They actually fit into the scheme really well. You look at what Notre Dame is doing and Donovan is the perfect boundary corner for them. Clark is a physical player who attacks the ball and also runs track. Clark takes academics seriously, according to Jones.